Dr. Monika Raj is an Assistant Professor in the Chemistry and Biochemistry Department in the College of Sciences and Mathematics (COSAM). 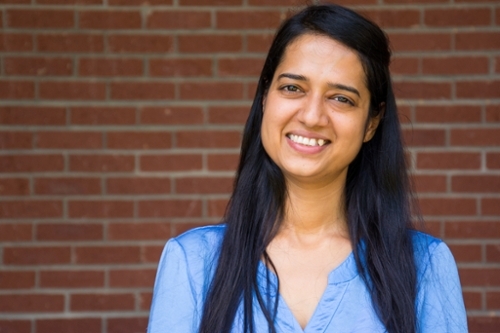 She is the recipient of a $650,000 National Science Foundation (NSF) Faculty Early Career Development Program (CAREER) Grant: Secondary Amine Selective Petasis. 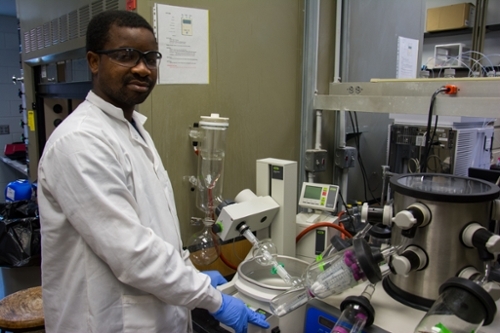 The NSF funding programs include the Chemistry of Life Processes and EPSCoR co-funding. Her research in the Raj Lab will focus on the chemical labeling method that detects the proteins with modifications and enzymes responsible for such modifications. She uses innovative chemical reactions for visualizing biomolecules and adds a probe or dye that show the proteins with these modifications. 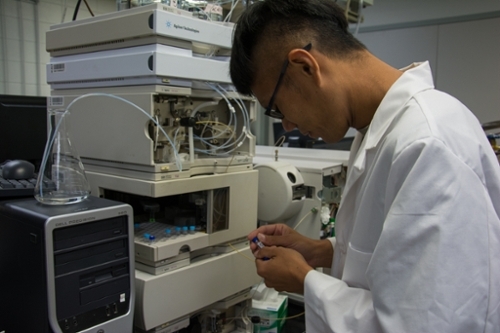 The major challenge is to develop a chemical method that selectively labels a specific modification on biomolecules in the presence of sea of other similar functional groups. Once these proteins have been detected, medications can be designed to inhibit the protein or prevent the progression, ultimately stopping the disease. Raj will collaborate with other colleges at Auburn University for her research including the Harrison School of Pharmacy to further conduct her research on various cancer cell lines. This will allow her to test her research in a prominent pharmacy right on campus. This research will also help to increase science education for high school students through sharing fundamentals of this project with engaging activities. Dr. Monika Raj in front of the Chemistry Building. 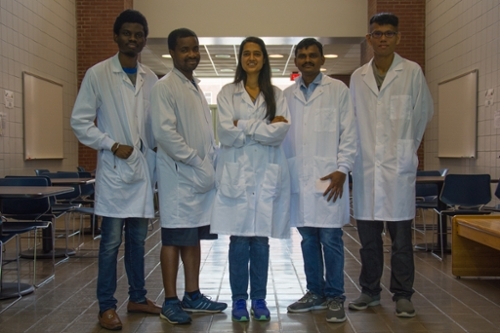 Dr. Monika Raj and her team in the Chemistry Building. Graduate student in the Raj Lab. Graduate student in the Raj Lab analyzing data. 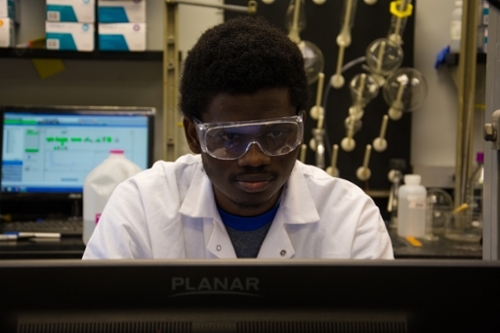 Graduate student in the Raj Lab preparing for an experiment.